Reputation counts and when it comes to your email marketing campaigns it really matters. Find out what counts against you and what counts for you when it comes to content filters, reputation monitors, ISPs and how they can affect your email's deliverability. Get it right and you get engagement and inbox placement, get it wrong and you could get marked as spam. Andy provides tips on how to capitalise from the momentum of engagement, as well as targeting by engaging your list. Andy will talk through how you can get your email marketing right from the start and how you can review your email marketing activities. 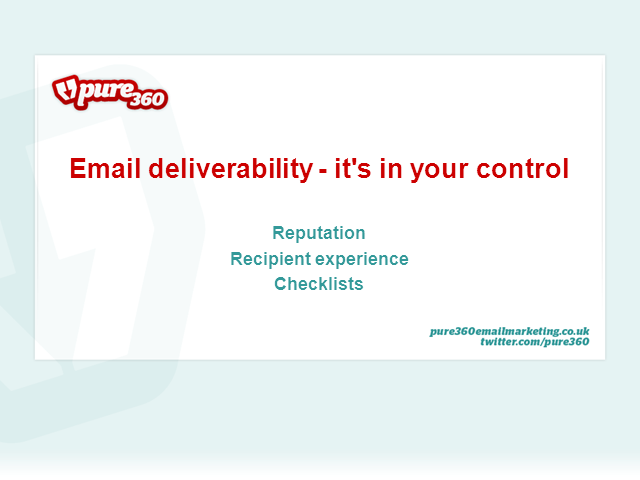 By attending this webinar you will leave with a better understanding of deliverability and the factors that affect your emails hitting your recipients' inboxes.